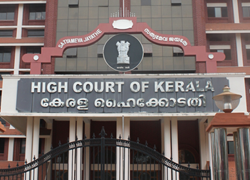 Tag Archive | "Enrica Lexie"
An interesting exchange took place at the High Court of Kerala on Friday between presiding Justice PS Gopinathan and VJ Matthew, counsel for the owner of the Enrica Lexie. Regardless of the level of significance one attributes to Justice Gopinathan’s remarks, the dialogue sheds light on the tension and deep mistrust surrounding the events of February 15th. To be fair, Justice Gopinathan did not declare the Italian marines terrorists as a matter of law. He merely stated that that is how the general public viewed them. It is nonetheless disturbing for an officer of an Indian High Court to give voice to his private opinion about the facts of a case before him, especially when that opinion deviates so far from reality. Where Mr. Matthew’s claims are concerned, it is far from certain that the marines must be classified as terrorists for the SUA Act to apply. Although the SUA Convention was passed with the goal of suppressing international terrorism in mind, the Convention seeks to achieve its aim by proscribing acts, not classes of people. Article 3 of the SUA Convention lists the crimes punishable under the Convention, stating that if “any person” “performs an act of violence against a person on board a ship if that act is likely to endanger the safe navigation of that ship,” that person has “commit[ted] an offense” under the Convention. Similarly, the SUA Act states that “whoever unlawfully and intentionally” commits an act of violence against a person on board a ship has violated the Act and is subject to punishment for that act under Indian law. The words “terror,” “terrorist,” or “terrorism” do not appear at all in the operative clauses of the SUA Convention, nor do they appear in any portion of India’s SUA Act. Thus Mr. Matthew’s argument that legal classification as a terrorist is a prerequisite to be charged under the SUA Act appears at odds with the text of the SUA Act itself and the Convention upon which it is based. (i) the perpetration of a criminal act (such as murder, kidnapping, hostage-taking, arson, and so on), or threatening such an act; (ii) the intent to spread fear among the population (which would generally entail the creation of public danger) or directly or indirectly coerce a national or international authority to take some action, or to refrain from taking it; (iii) when the act involves a transnational element. Of the three enumerated elements, only the third, that the act must involve a transnational element, is clearly present. As for the second, there is no way to argue that the Italian marines fired upon the Indian vessel to spread fear among the Indian population or coerce the Indian government. 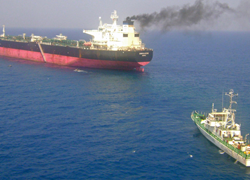 They were acting as agents of the Italian government charged with the protection of a merchant vessel from the real and credible threat of maritime piracy. The unfortunate deaths of two fishermen do not change the character of the marines’ actions. Finally, it is presently impossible to know whether the Italians’ acts could be considered “murder” under the first prong. That determination can only be made once a competent tribunal establishes that the Italians were in fact the ones who shot the Indians and entertains any affirmative claim of self-defense made by the marines. Furthermore, the alleged acts of the marines fails to satisfy even the minimal, “core definition” of terrorism propsed by Professor Marcello Di Filippo in the European Journal of International Law. After surveying relevant international and domestic laws and sloughing aside any contested definitional aspect of terrorism, Professor Di Filippo concludes that an act of terrorism requires, at the very least: (i) an act of violence; (ii) when that act is targeted at civilians. According to Di Filippo, this core definition is the absolute minimum standard under which an act could be properly considered terrorism. Implicit in Di Filippo’s core definition is the requirement that the actor must at least believe that the targets are civilians, and one could even argue that the actor must intend to target the victims because they are civilians. Thus unless the Indian authorities can prove, at minimum, that the Italians knew that the Indians were unarmed before firing upon them, the acts of the marines do not rise to the level of terrorism. Justice Gopinathan’s statement that the marines committed a “terrorist act” accuses the Italians of a crime that does not exist – negligent or reckless terrorism. An oral pronouncement by a Justice with no legal ramifications is hardly a groundbreaking development in what will surely be an interesting case. It does, however, illustrate the depth of mistrust between the Italians and Indians in this particular instance, with the Italians accusing the Indians of a vast conspiracy involving fabricated evidence and the Indians accusing the Italians of murder and now, apparently, terrorism. We are thus back where we started: waiting for the results of the ballistics report and hoping, perhaps against the available evidence, that cooler heads will prevail and due process will be afforded to all. 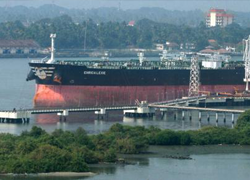 The Suppression of Unlawful Acts Against Safety of Maritime Navigation and Fixed Platforms on Continental Shelf Act, 2002 Act No. 69 of 2002, art. 3(1)(a) (Dec. 20, 2002). Jean-Marc Sorel, Some Questions About Terrorism and the Fight Against its Financing, 14 Eur. J Int’l L. 365, 368 (2003) (describing the “confused mix” of definitions). Marcello Di Filippo, Terrorist Crimes and International Co-Operation: Critical Remarks on the Definition of Terrorism in the Category of International Crimes, 19 Eur. J. Int’l L. 533 (2008). In my last post about the Enrica Lexie incident, I stated that under the United Nations Convention on the Law of the Sea (UNCLOS), Italy had excusive jurisdiction over the Italian military personnel who allegedly killed two Indian fishermen mistaking them for pirates. Roger Philips at Communis Hostis Omnium rightly pointed out that the Convention for the Suppression of Unlawful Acts of Violence Against the Safety of Maritime Navigation (SUA Convention) contained some contradictory jurisdictional provisions. Upon a closer analysis of the relevant international law, it is clear that Italy and India have concurrent jurisdiction over the Italian armed guards. India and Italy have both signed and ratified the 1988 SUA Convention requiring States Parties to criminalize the enumerated offences from Art. 3 in their domestic penal codes. Art. 3(1) lists performing “an act of violence against a person on board a ship if that act is likely to endanger the safe navigation of that ship,” as well as “injur[ing] or kill[ng] any person, in connection with the commission or the attempted commission of any of the [enumerated] offences.” The alleged actions of the Italian marines clearly implicate the SUA Convention. SUA Art. 6 expressly allows for jurisdiction based on the territorial, nationality, passive personality, and protective principles. Thus while UNCLOS confers jurisdiction on Italy alone, the SUA Convention allows for India to claim jurisdiction under Arts. 6(1)(1) and 6(2)(2) and Italy to claim jurisdiction under Arts. 6(1)(1) and 6(1)(3). As a purely practical matter, jurisdiction falls to the country that reaches the alleged perpetrators first, subject to the principle of aut dedere aut judicare (“extradite or prosecute”). Indeed, the facts of the Enrica Lexie mirror those from the famous 1927 Lotus opinion by the PCIJ where a French ship collided with a Turkish ship killing eight Turkish sailors on the high seas. The French captain was prosecuted in Turkish courts and the Turkish and French governments submitted the question of jurisdiction to the PCIJ. The latter held that, absent a relevant provision to the contrary, Turkish courts could exercise criminal jurisdiction over the French captain because the incident took place on the high seas and had a substantial effect on Turkey. Art. 6 of the 1958 Geneva Convention on the High Seas, which says that all ships “save in exceptional cases expressly provided for in international treaties . . . shall be subject to [the] exclusive jurisdiction [of the flag state] on the high seas,” provided a provision contrary to the PCIJ’s holding in Lotus that was subsequently reflected in UNCLOS. The SUA Convention apparently provides for an express exceptional case anticipated by art. 6 of the Geneva Convention. To obtain exclusive jurisdiction over the Italian guards, Italy would have to convince India, through diplomatic channels, that the SUA Convention did not apply to the Enrica Lexie because the presence of armed military personnel on board made it a ship “operated by a State when being used as a naval auxiliary,” and thus outside the auspices of SUA pursuant to art. 2(1)(2) – a nearly impossible scenario. Despite the presence of concurrent jurisdiction, Italy will most likely have the ultimate responsibility for deciding whether or not to compensate the victims of the Indian fishermen’s families or punish its military personnel for its actions. Regardless of the ultimate outcome, the investigation must be transparent, as the question of liability is ultimately a factual one requiring the two competing stories of the incident to be reconciled. If such reconciliation reveals the case of mistaken identity described in my previous post to be true, the victims’ families should be compensated and the guards punished for their hasty and improper use of force.